At Antimachia there are 4 churches. and Church Kim. to Theotoki at the east side of Antimachia. The Monastery of Agios Ioannis. 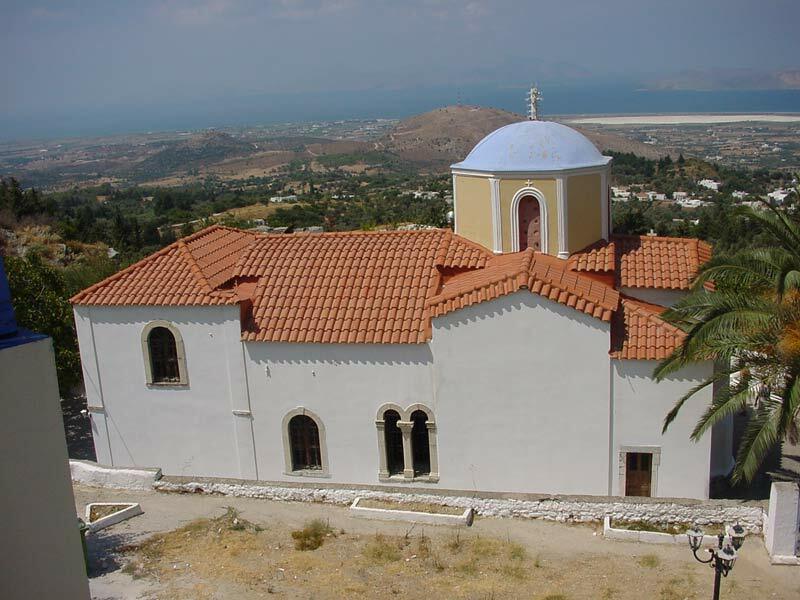 The monastery of Agios Ioannis stands 7 km south of the beautiful settlement of Kéfalos. It is built in an idyllic setting among plane trees. Next to the monastery, its half-ruined bell-tower has been preserved. On its feast day of 29 August, many people flock here to pay their respects to the saint. 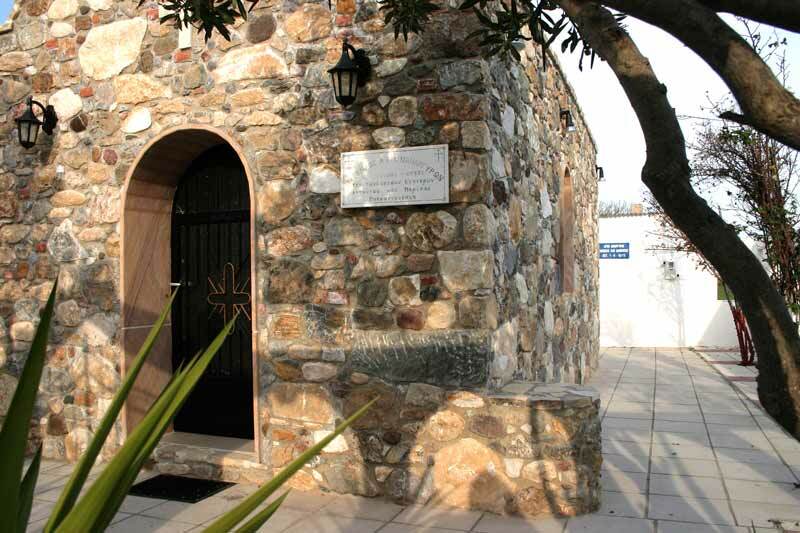 The church of Agia Paraskevi is situated in the town of Kos. It is a very large church, dominating the town's centre. The church's size, along with its external beauty of beige and blue colours, are eye catching. Every year, a multitude of pilgrims come here from all over the island. 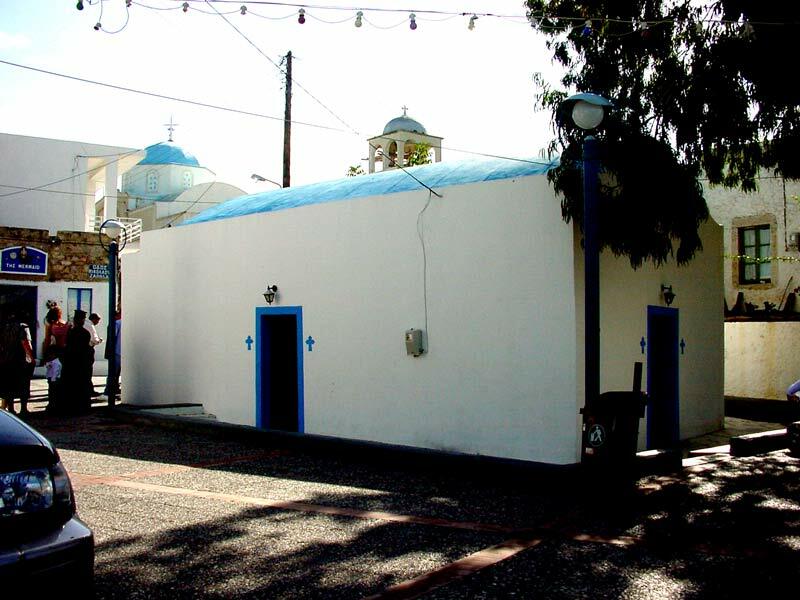 The church of Ipapandi was built by St Christodoulos. It stands on the remains of a Byzantine fortress in Pili village, west of Kos. Its walls are embellished with 14th century frescoes. Inside, one can admire a marble altar based on four pillars. Significant findings are exhibited in the Archaeological Museum of Kos. Its feast day is on the 2nd of February. From this site, the view to Kalymnos and Pserimos is breathtaking. This is the Episcopal Church and the main church of Kos. From Kamari if you take a drive heading south you can visit the ruined church of Panagia Palatiani (one of the oldest churches of Kos) and also a new church which is situated close by. On the west side of the island Kos. 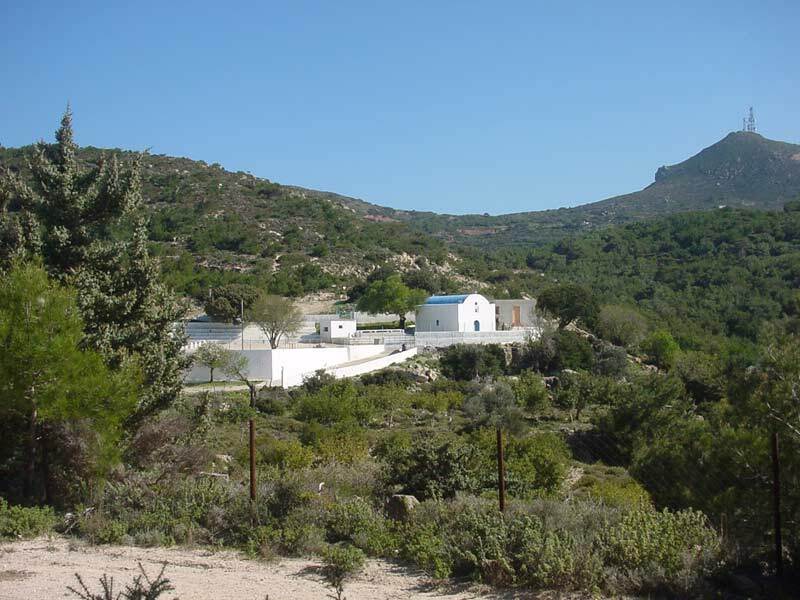 From this site - by good weather conditions - the view to Astypalea is posible. 11 Km. 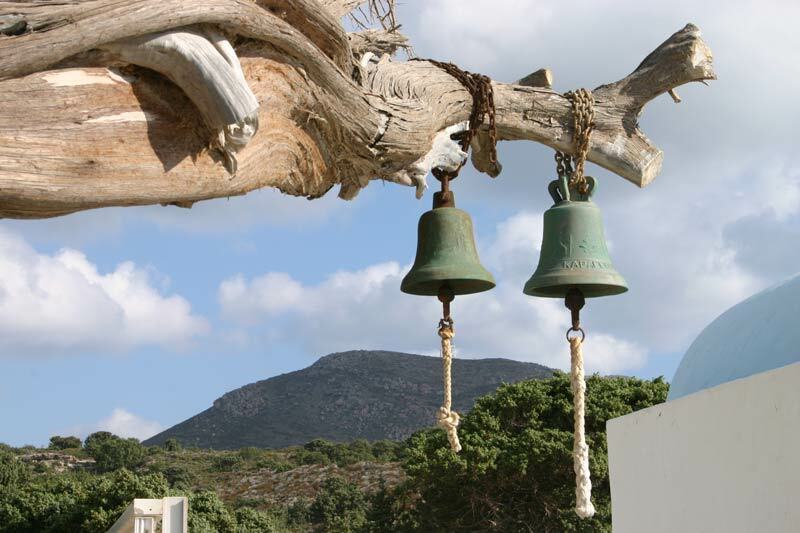 south of village Kéfalos you will found the church of Agios Mammas. There you have a wonderful view of the sea and some other islands of the Dodecanese Archipel. In short distance to the coast and the beach of Kamari, there is the islet of Kastri with the small church of Agios Nicolaos, the protector of seamen. 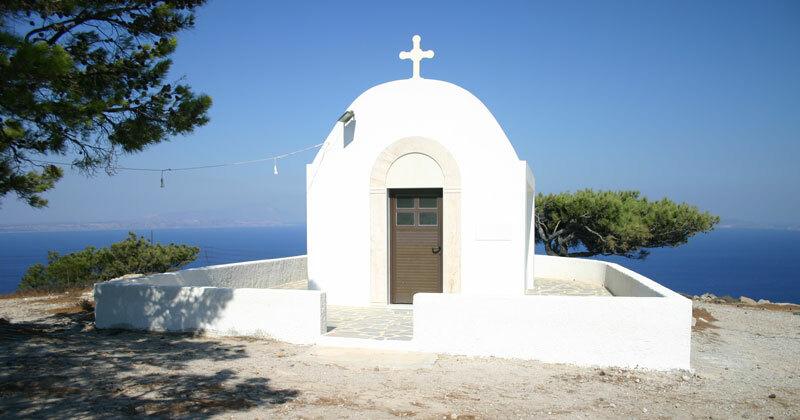 This small church is build on the ramains of an old tempel of Poseidon, the "God of the Sea". 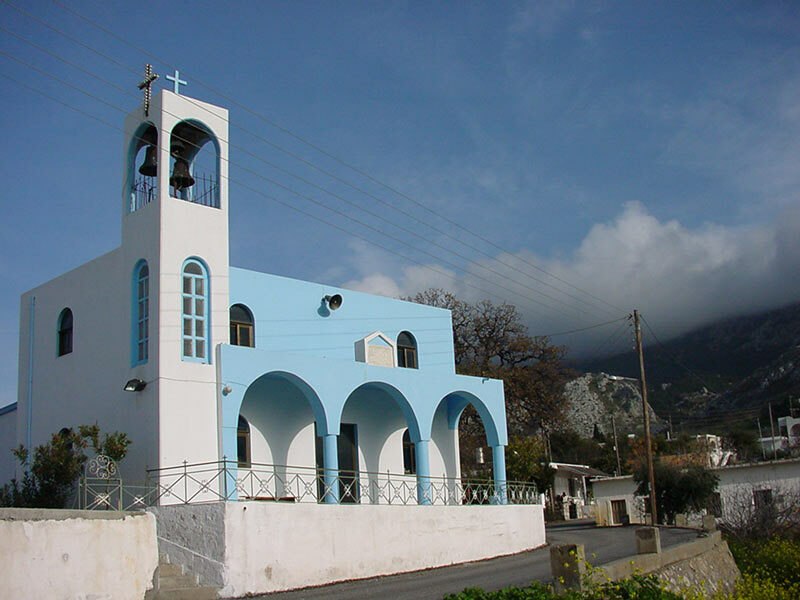 Christos Church on Mount Dikaios. 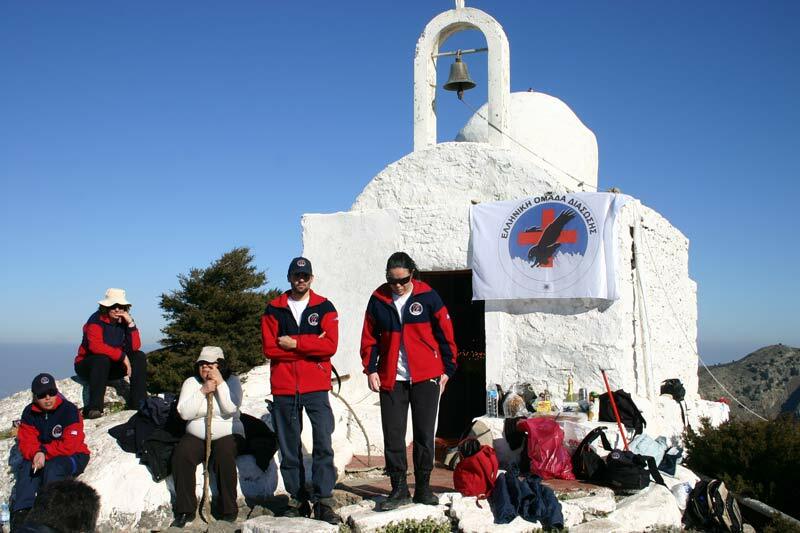 After 1½ hour of walking on a small pad up to the Mount Dikaios (846 meter), you will found the Christos Church. By good weather conditions, there is a wonderful view of the Aegean Sea with the possibilities to see the islands of Rhodes, Karpathos, Tilos … on the South side, and Kalymnos, Leros, Patmos, Ikaria and Samos on the North side of Kos island. Before you arived at the smale village of Ag. Dimitrios, there is a church on the right side of the road. 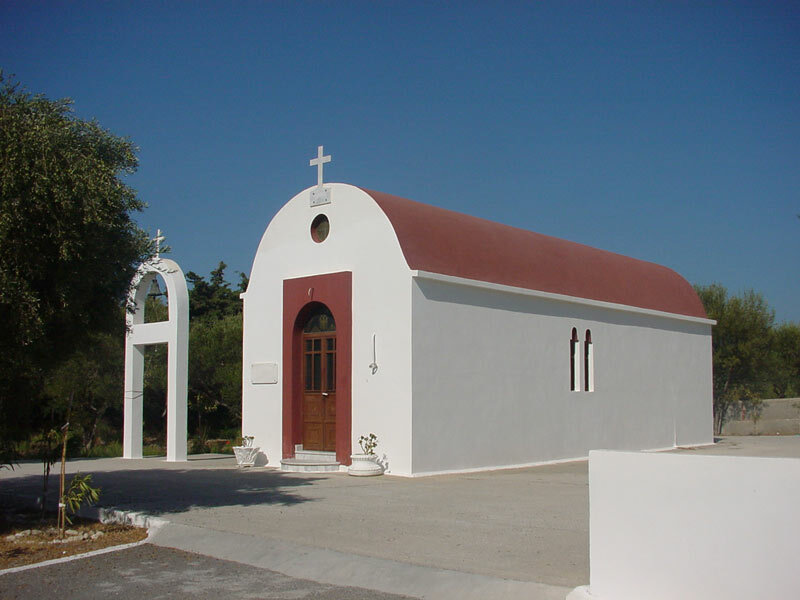 This church is the Agios Dimitrios Church. Church of Panagia I Eleimonitria. 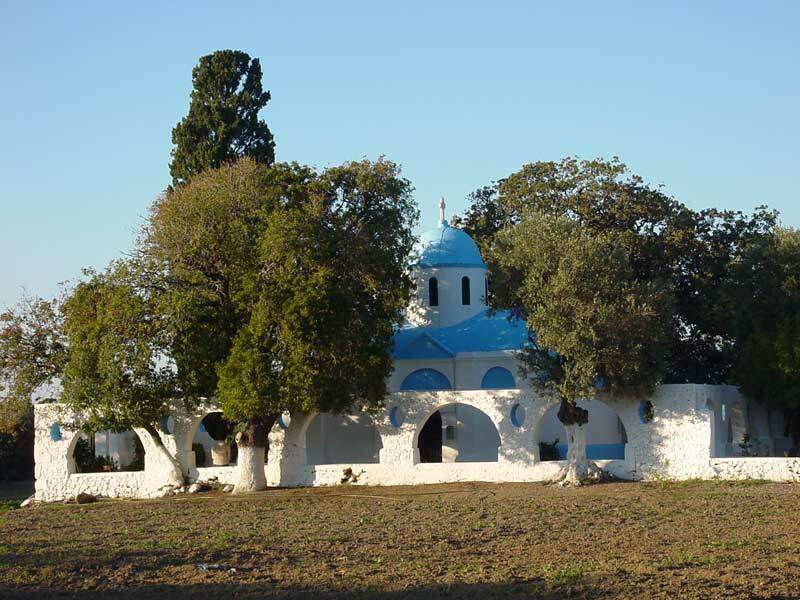 The Church of Panagia I Eleimonitria. 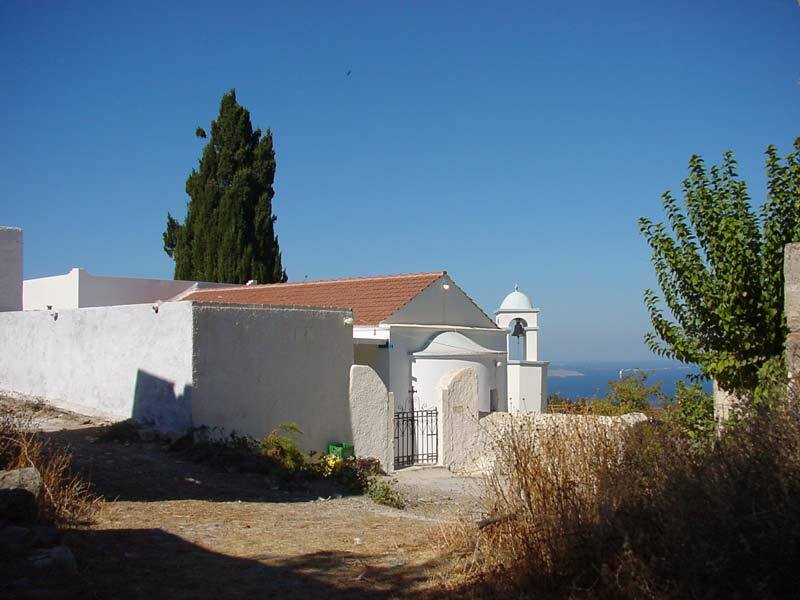 This small nice church you will found on the road from Kéfalos to Ag. Theologos. The Church of Ag. Anargiron on a side road at the road between Tigaki and Marmari. By starting on the Seagull Hotel in the near of the power station, going west on one of the side roads. On the Nord side of the airport, by walking from the football place toward the sea. © Nostalgia Travel  / Kos-Info / Churches & Monasteries.